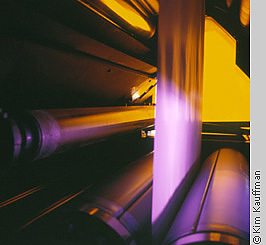 Industrial Photographer Kim Kauffman creates stunning corporate photographs for business and industry. Industrial photography includes manufacturing photos, plant photos, technical images, photos of scientific equipment, people at work, exterior photographs of facilities for use in corporateannual reports, sales brochures, advertisements. 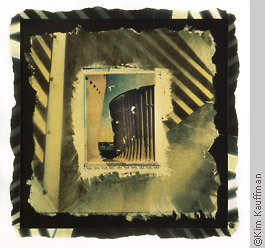 An alternative photographic interpretation of an industrial power plant's cooling towers printed on handmade paper. 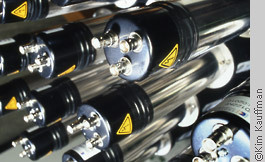 Abstract image of a sensor array photographed on location at MSU's National Superconducting Cyclotron Laboratory. 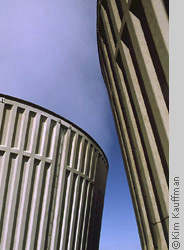 Abstract detail at the Board of Water and Light's Erickson Plant. 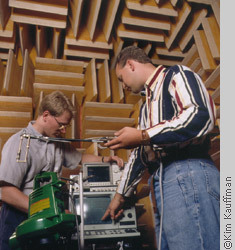 Location photograph of students in a sound lab for a school view book. Forging a titanium hip prosthetic at Jet Engineering for their capabilities brochure. 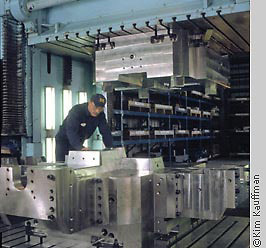 A spotting press at Franchino Mold for their capabilities brochure. 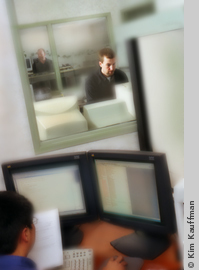 The computer room at MSU Federal Credit Union for their annual report. 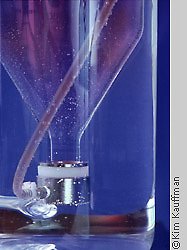 To see the entire suite of photographs from which this image was selected please go to PROJECTS. 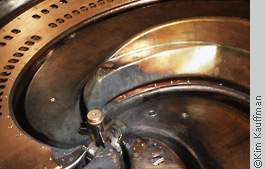 Detail of a cyclotron beam chamber opened for maintenance. 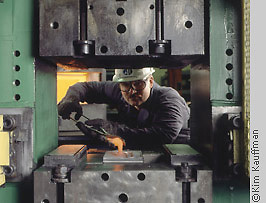 A web press at Millbrook Printing for their capabilities brochure and advertisements. Michigan Biotechnology Institute annual report. 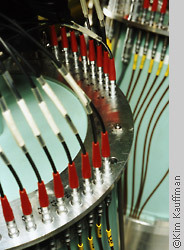 A detail of a modular neuron array at Michigan State University. 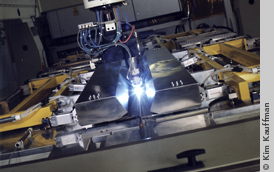 A state-of-the-art laser welder at Tailor Steel. 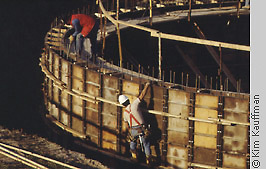 Construction of a water treatment storage tank for the Michigan Municipal Bond Authority annual report. 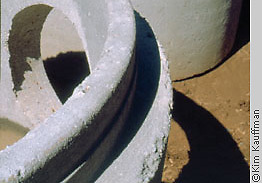 An abstract of concrete pipes for the Associated Underground Contractors' magazine, Spread Sheet. We wanted to suggest the nature of AUC's ;members' work without showing a ;particular company or project. 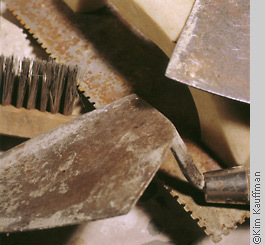 A detail of materials was the solution. 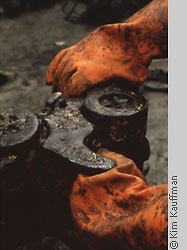 A detail of the installation of an oil rig for Patrick Petroleum.